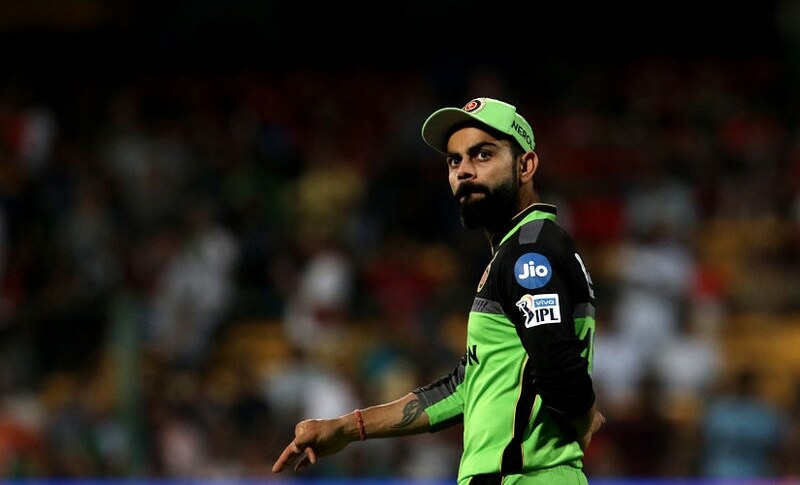 Virat Kohli looking distraught, out-of-place, shocked, clueless in RCB colours in IPL 2019 is a dangerous sign for India with the T20 World Cup coming up in 2020. His failure is also an opportunity for the bosses to reflect on some of the alternatives in place. The first three weeks of IPL 2019 has been frustrating for Virat Kohli, the captain. Leading the Royal Challengers Bangalore (RCB), he has lost six matches on the trot. The misery for him, not just with RCB but with the Indian team, has been long standing. While the batting maestro has surpassed key milestones in Tests as captain — winning series in Australia, and one Test each in England and South Africa in the same calendar year — his record in T20s as the leader has been far from convincing. 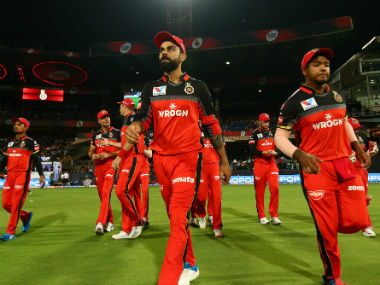 After the end of RCB’s sixth match against Delhi Capitals, the official broadcaster played the montage of a disappointed, gutted Virat Kohli as he walked back to the dressing room, suffering a sixth straight loss in as many games. Kohli is an emotional man, he lets you dive into his mood through his elaborate body language. There was a distraught look on his face. Cricket experts in the commentary box shared his turmoil as the captain of a team that has forgotten to win. What more could he do as a leader? Here, you imagine, that Kohli’s charisma as arguably the best batsman in the world and a successful captain in Tests has overshadowed his failures as a leader in T20s. His over-enthusiastic approach and energy on the field have definitely helped fool a few. But a little dwelling into records and statistics blow away the routine perception that Kohli is doing well but his team is not reciprocating the same level of commitment. Since Kohli took over the captaincy from MS Dhoni in January of 2017, he has captained national team in eight T20 series. Out of these, India have won four — one against a low-key Ireland, against New Zealand at home and the last one against a depleted South African team. The victory against England in England was the one that stood out. However, the recent trouble of the Indian team in T20s under Kohli's leadership raises more questions. They lost a T20 series 0-2 at home against Australia, and in Australia last year, had to satisfy themselves with a 1-1 result, a series they should have won against a weak Australian unit. The credit of India drubbing West Indies 3-0 at home and winning the Nidahas Trophy 2018 goes to Rohit Sharma. The T20 tournament wins under Rohit should have led to many fingers being pointed at Kohli, but that narrative was never drawn. On the contrary, the wins helped hide Kohli’s chinks in leadership in T20s, as India’s overall performance in the last two years has never been substandard, even if below expectations. 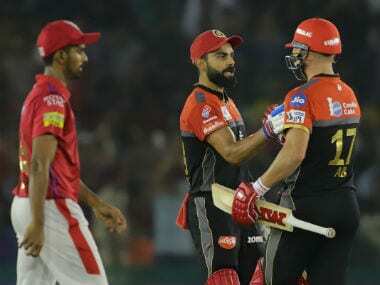 However, Kohli looking distraught, out-of-place, shocked, clueless in RCB colours in IPL 2019 is a dangerous sign for India with the T20 World Cup coming up in 2020. His failure is also an opportunity for the bosses to reflect on some of the alternatives in place. It’s a different debate altogether, if Kohli thinks he himself is the boss of Indian cricket right now. His unsuccessful run as the captain in IPL 2019 is not the tip of the iceberg, rather it has reached the boiling point this season. It is a reflection on his continuous failures to hold the grip of things at helm year after year. Kohli has been the captain of this franchise for eight years now. In fact, he is among the few players, who have stuck to one IPL team from the start. However, unlike a Chennai Super Kings (CSK), a Kolkata Knight Riders (KKR) or a Mumbai Indians (MI), this massively popular and fanned team has not been able to become a nucleus, a key feature in the success of the three teams mentioned before. In the years when the team did well, there was still a group of players who played as one unit – Chris Gayle, Tillakaratne Dilshan, AB de Villiers. With a few retiring and others being shunted out, RCB have been changing squads and coaches. Nothing, however, has helped them touch the silverware as yet. While they did reach the final in 2016, in 2017, they were a bottom-placed team, and in 2018, they ended up at sixth. RCB changed everything, even the design of their jerseys, but stuck to their captain. But Kohli has not been too faithful to this trust employed in him by the owners. Their bowling attack has been one of the worst from last so many seasons. The responsibility of curing an open wound lies as much with the patient as the doctor. Not understanding the dynamics of IPL, even after having played the tournament from its inception, baffles common sense. Before the 2017 auction, RCB retained Kohli, AB de Villiers and a big U-19 star Sarfaraz Khan, who, after failing in one season was shown the door. The team let a successful 2016 campaigner in KL Rahul go off their hook easily. Gayle was not bought despite going unsold twice in the same auction. He made his way to Kings XI Punjab, where his record is very impressive, even as he touches the 40 age-mark. Kohli’s on-field decision making has been a big question as well. While it requires a whole piece in itself, a small case in point would be how he did not bowl Moeen Ali against KKR, on a track where spinners from both sides had done well. In the game against Delhi Capitals (DC), Kohli failed to analyse a good total on his homeground, deciding to play till the last and watching others depart while trying to up the run-scoring rate. It turned out to be a big mistake when Kohli himself was held on in the deep at 41. Presence of MS Dhoni and Rohit Sharma in the Indian team has had an effect on Kohli's better success rate with the Indian team in contrast to IPL. Everytime he found himself going into an abyss, he's turned to Dhoni or Rohit for guidance, something which he has missed dearly at RCB. His attack-at-all-cost attitude may have worked wonders for him in the longest format of the game where you are consistently looking to take wickets, but in T20s the same approach has hurt him. A key T20 captaincy feature that he misses is slowing down the game when the opposition is off to a blistering start — the Jonny Bairstow-David Warner onslaught two matches ago being a fitting example. Slowing down the game means defensive field placements and more dot balls; neither has Kohli been good with his field nor have his bowlers been able to bowl dots. 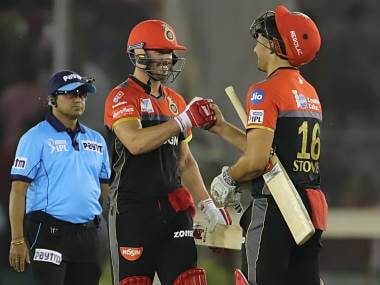 The big headache for RCB is not in failing to fire in IPL 2019. It is their regression from a quality IPL unit some six years ago to an ordinary one. Remember, it does not require quality international and local players to make a good IPL team, but years of instilling faith and trust in the players, a key feature in most successful teams like CSk, KKR, and MI. As a result, even when you see a Gautam Gambhir leaving KKR or a Rohit Sharma resting in a game because of an injury or a CSK coming back after two-year hiatus, their performance never get a hit. Six back-to-back losses have started a discussion that Kohli may go to England short on self-confidence as a leader. 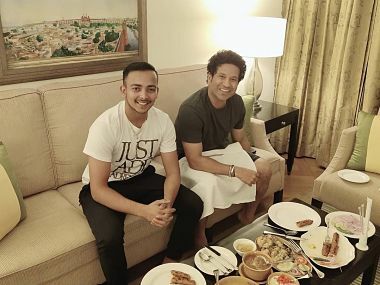 A good end to IPl 2019 may address that issue. Even if it does not, there is nothing one can do 48 days before a tournament. 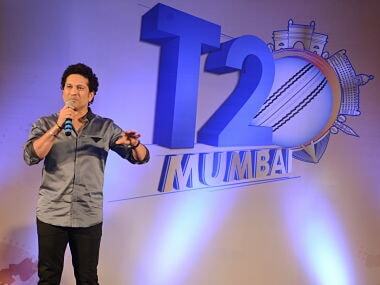 However, India have a T20 World Cup coming up next year. There is still some time left to ponder over the best World Cup squad and the most-suited leader in that format.